We just can't get enough of beautiful mountain weddings, especially when they're only a short drive from our doorstep. 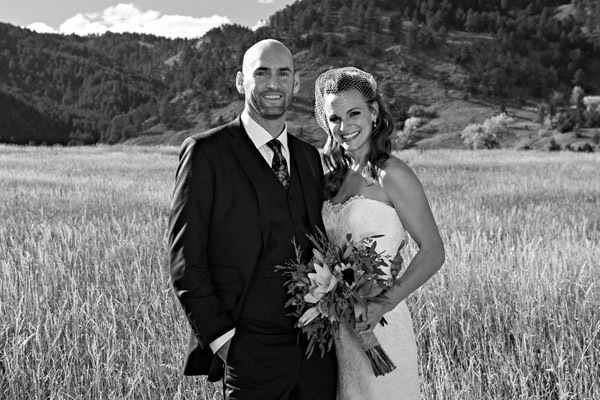 Adeline + Peter's real colorado wedding took place at the Flagstaff Amphitheater overlooking the town of Boulder. Adeline looked stunning in her lace Alvina Valenta gown from anna bé and the Flatirons and fall colors made for a pretty amazing backdrop, don't you think? 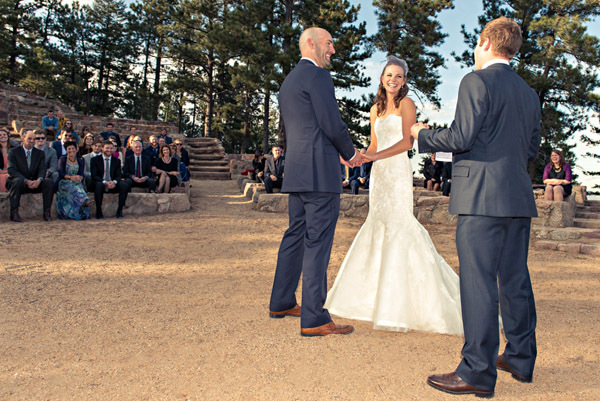 After the mountain-top ceremony, Adeline + Peter danced the night away at Rembrandt Yard in downtown Boulder to Boulder's own blue-grass band, Trout Steak Revival! And those gluten-free cupcake from Boulder's Piece, Love and Chocolate look absolutely delish'! Book your appointment at anna bé today to find your perfect dress for your mountain wedding!